In this issue: an AI with the power to destroy universes, the Cobras face a deadly decision, and the Elder Gods get the celebrity roast treatment. All that, plus an all-new story by Tim Powers! For hundreds of years, the Complex Logic Laws have made sentient space ships illegal. However, not all Free Ships and other AIs obeyed orders to self-destruct. They merely became wary of humans, and stayed under their scans. There are those with a stake in the freedom of Independent Logics. Among them is Theo Waitley, captain of intelligent ship Bechimo. 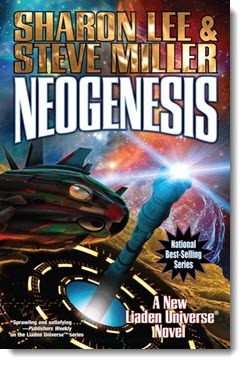 Theo's brother, Val Con yos'Phelium, presides over a household that employs an AI butler. Recently, he approved the "birth" of the butler's child, who was sent, with human mentor Tolly Jones, to rescue or destroy an orphaned AI abandoned at a remote space station. Then there's Uncle, the shadowy mastermind from the Old Universe, whose many projects often skirt the boundaries of law. And the puppet-masters at the Lyre Institute, whose history is just as murky—and a good deal less honorable. All have an interest in the newly-awakening Self-Aware Logic that is rumored to have the power to destroy universes. The question is: Who will get to it first? Cobras: technologically enhanced warriors bred to fight an alien menace no ordinary human can withstand. Once the Cobras fought the implacable alien invaders, the Trofts, to an uneasy stalemate. But in recent years they have faced an enemy more insidious, the oppressive regime known as the Dominion of Man. Now, the Cobra Worlds find themselves under the boot heels of the Dominion, forced into what amounts to slavery, living under martial law. But two clans of Cobras—the Moreaus and the Brooms—will not stand idly by and let the Dominion run roughshod over their home worlds. 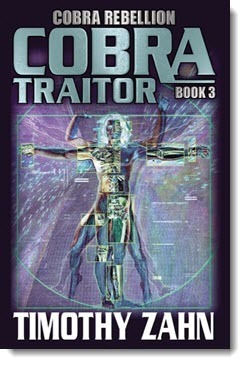 Get Cobra Traitor eARC here. It’s that time of year when families head home to celebrate Thanksgiving with turkey, dressing, and a smorgasbord of side dishes. It’s a time of pleasant reunions—but also a time rife with awkward relationships. And for the Coldharp family, things are even stranger than in the average household. You see, just because a Coldharp has shuffled off this mortal coil, doesn’t mean he won’t be asking you to pass the gravy this holiday season. And when the spirits of the dearly departed show up for dinner, things can get . . . otherworldly. Read “Sufficient Unto the Day” an all-new story by award-winning science fiction and fantasy author Tim Powers here. Chances are if you’re reading this, you’re right-handed. Ninety percent of humanity is. But have you ever stopped to wonder why? 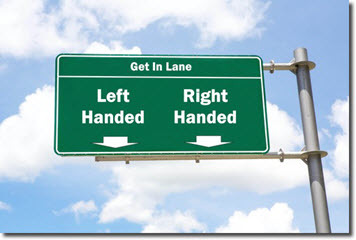 Or what being right- or left-handed might say about the structure of the brain? Science fiction writer and neuroscience researcher Benjamin C. Kinney delves into these mysteries and more in this month’s new nonfiction essay. Read “Right Hand, Human Brain: The Mysteries of Handedness” here. 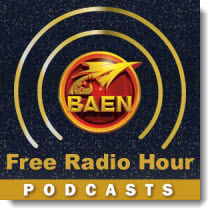 Coming soon to the Baen Free Radio Hour: D.J. Butler discusses and plays songs and ballads from Witchy Eye, his muskets-and-magic novel of alternate North America. Plus, SF legend Poul Anderson’s daughter, Astrid Bear, and her husband, SF writer Greg Bear, discuss Anderson’s The Complete Psychotechnic League, Volume 1. 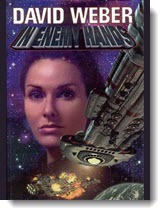 The People's Republic of Haven has finally found an admiral who can win battles, and Honor Harrington’s orders take her straight into an ambush. Outnumbered, outgunned, and unable to run, she has just two options: see the people under her command die in a hopeless, futile battle . . . or surrender. 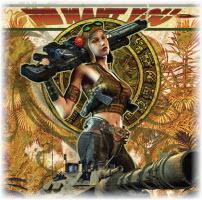 The Cobras face an impossible decision: join with the hated Dominion of Man or risk annihilation at the hands of the alien Troft in the conclusion of the Cobra Rebellion trilogy. Top authors pay tribute and poke fun at the Lovecraft mythos. Contains twenty-three mirthful manifestations within the Cthulhu Mythos from best-selling and award-winning authors Neil Gaiman, Mike Resnick, Esther Friesner, Ken Liu, Jody Lynn Nye, Laura Resnick, Nick Mamatas, and many more! After three hard-fought wars, a few of the Kzinti have learned from their human foes. Now, they are ready, and all that stands between freedom and a feline-filled universe is the human race. Good luck, monkey-boys. Tori Karacis’s family line may trace back to a drunken liaison between the god Pan and one of the immortal gorgons. Or . . . maybe it’s just coincidence that her glance can, literally, stop men in their tracks. While her fear of heights kept her out of the family aerobatic troupe, her extreme nosiness fits right in with her uncle’s P.I. business. The final volume in the hilarious military SF spoof series featuring Captain Willard Phule and his company of misfits, both human and alien. It’s a disaster when Phule’s private butler runs off, and so it’s a critical mission to head off-planet to find him . . . just when General Blitzkrieg arrives on Xenobia, trying to destroy Phule’s Company. When a strange cosmological event gives birth to superheroes and villains across the planet, Irene Roman is forced to be the hero she never wanted to be. The only person in the world who seems to know the source of this event, Irene may be the only one who can stop the chaos and destruction, even if she has no powers of her own. The question is what price will she be willing to pay to do so? Three months after the Whiteout, Irene Roman, now known as Indomitable, continues to try to reverse that change and protect the normal people from the Pushed. But when a simple kidnapping investigation turns into the worst threat the city of Atlanta has faced, will she prove to be indefatigable despite the strain or will she crumble? Irene Roman a.k.a. Indomitable and the heroes of Atlanta have lost. Now imprisoned by the man that created the Whiteout, Irene must regain her freedom, embrace new and old allies, and push towards a final confrontation, one that will decide the fate of a city and the Pushed themselves throughout the world. The Unidentified Funny Objects series serves an annual dose of funny. zany, and unusual science fiction and fantasy stories. All-new fiction from the genre's top voices! Our sixth volume features a Mad Amos story by Alan Dean Foster, a Harry the Book tale by Mike Resnick, and an Alexander Outland short by Gini Koch. Jim Hines reimagines a Game of Thrones with goblins in it, Ken Liu begs a sentient AI to spare him, and Esther Friesner takes us on a tour of Chelm, complete with dragons and gratuitous footnotes. 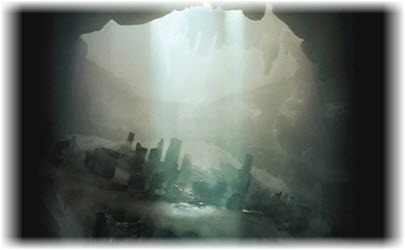 There are also tales of an interdimensional secret agent, a warrior-writer on a quest from an evil god, a necromancer intent on rehabilitating the image of his profession, and many more.